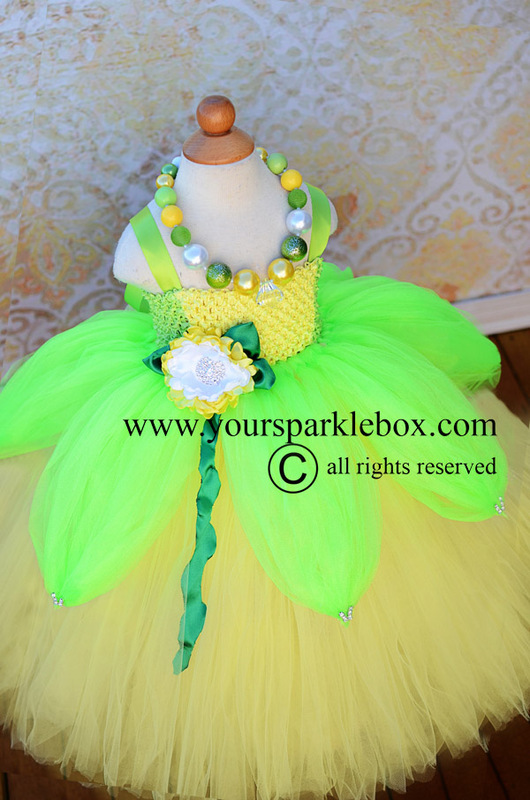 This Princess and the Frog inspired gown would be the perfect outfit for your little princess party or event. A gorgeous handmade satin flower and exquisite rhinestone button finish this amazing piece. Matching necklace is available as a seperate item. Turnaround time for custom dresses is 4-6 weeks but can be extended to 8-10 weeks during peak times. Refer to current shipping times in the left hand menu for more information.